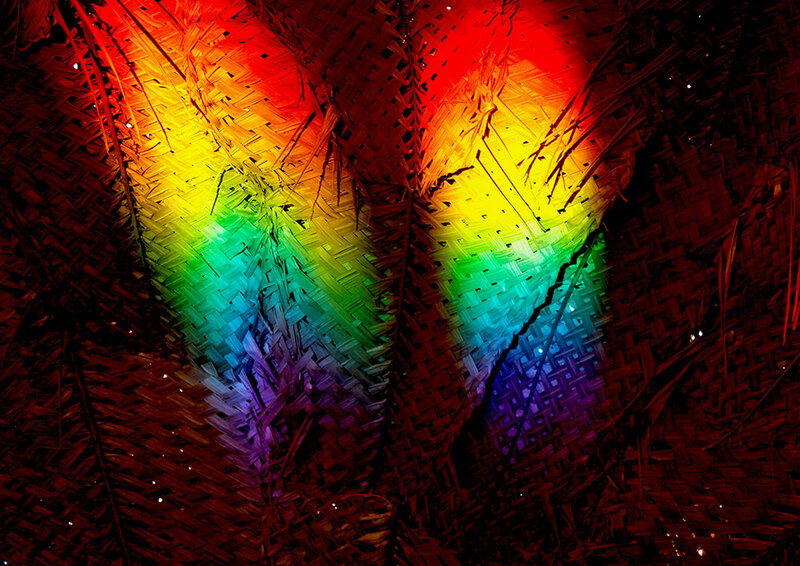 Metal structure of the rainbow hut. 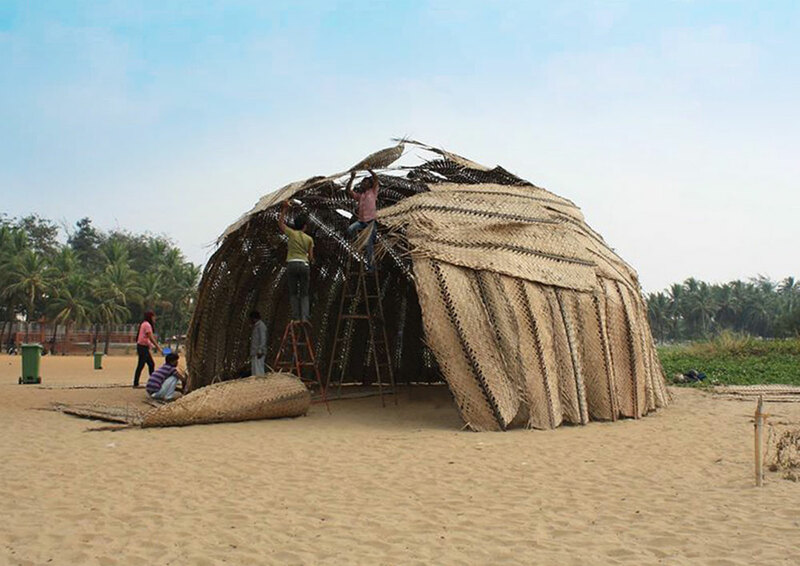 Workers are putting coconut leaf panes on the structure of the hut. 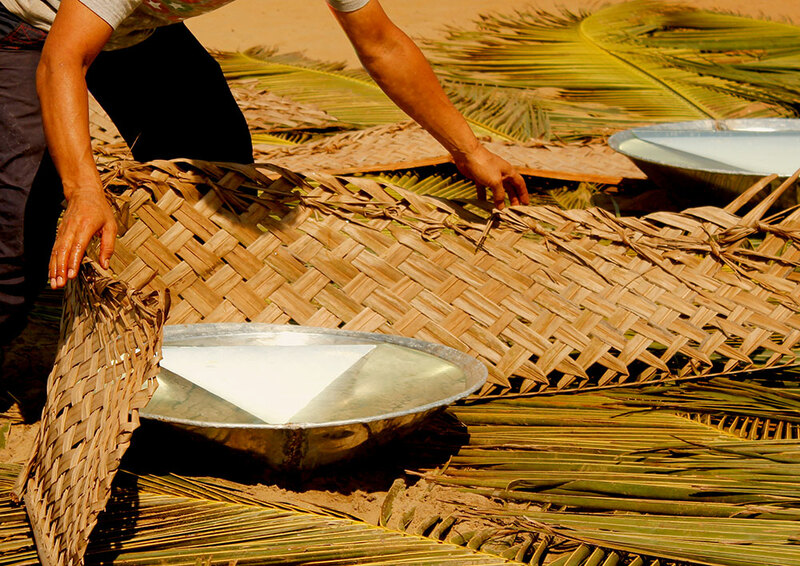 Tsuneo Sekiguchi struggling with the coconut leaf panel to keep it stable. 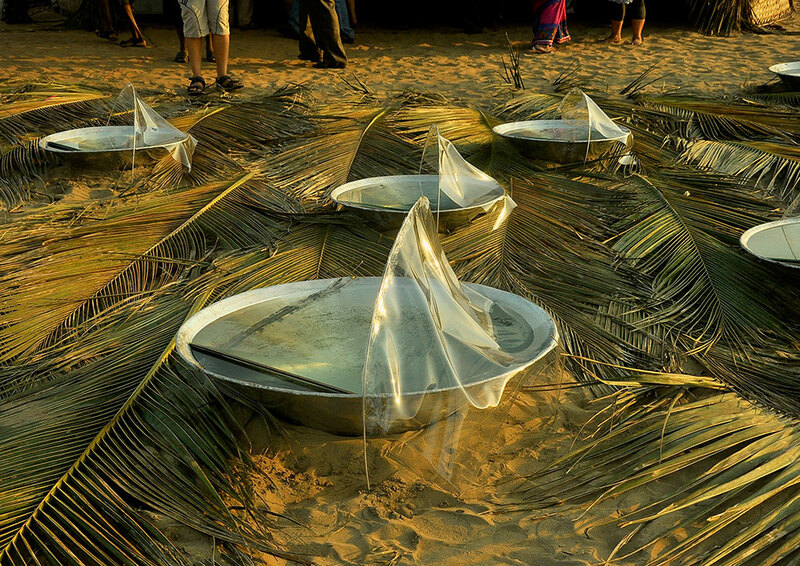 Tsuneo Sekiguchi found another option to protect the water bowls, he crated one half arch with the metal wire and stitched plastic sheet on it, because of it he got the liberty to rotate the arch according to the direction of the wind so water will not get disturb. Tsuneo Sekiguchi artist and explorer from japan. 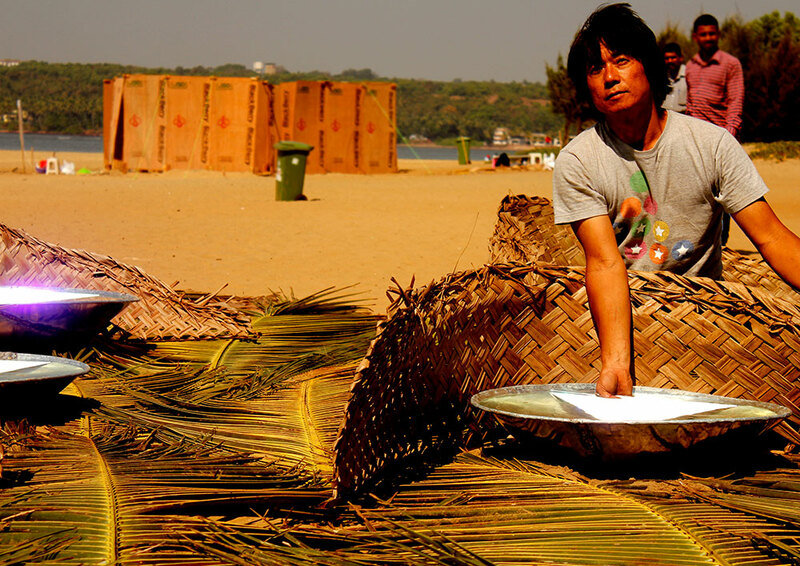 Tsuneo Sekiguchi arranging the mirror according to the position of the sun to catch sun rays and get the sharp rainbows. 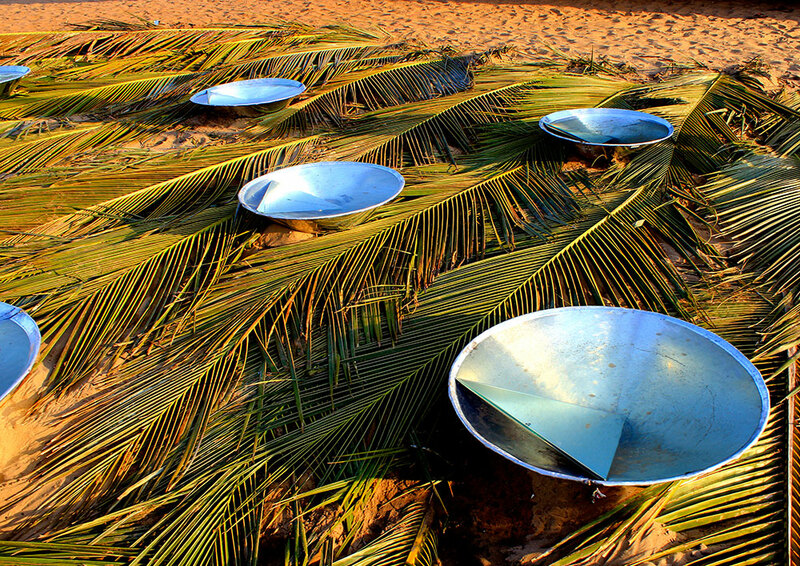 Cone shaped bowls arranged front of the hut in a such way to catch the sun rays in to the mirror and create the rainbow and to decorate the surface background he has arranged coconut tree branches to balance the composition. 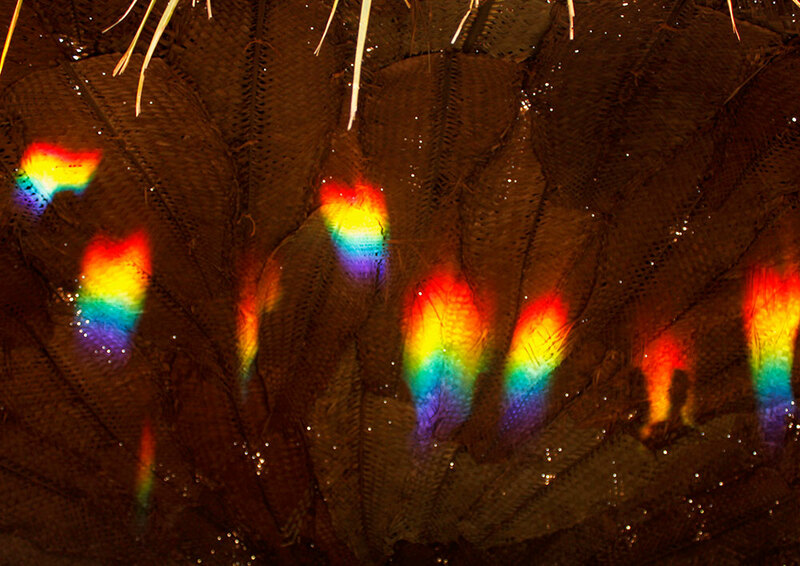 Beautiful and colorful rainbows on the hut wall. People are enjoying rainbows and clicking photographs. 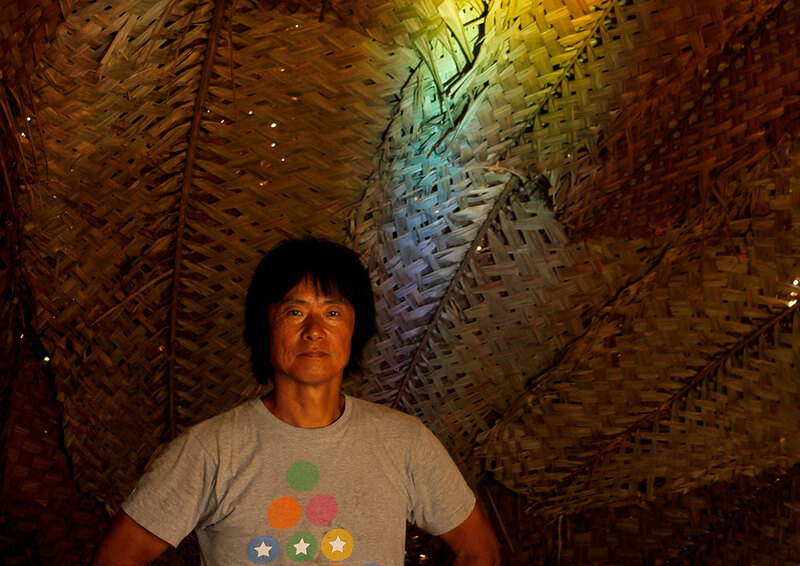 Tsuneo Sekiguchi standing in to his creation called rainbow hut made out of the coconut branches and we can see the rainbows on the hut wall behind him. 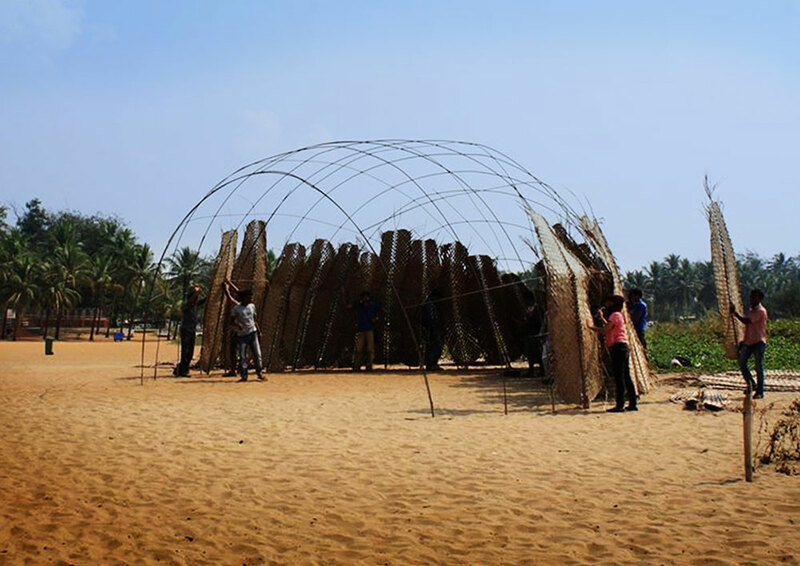 The Story of Light Festival was held in Goa in January 2015. It was a unique event to which where participants from all over the world were present. Event had brought together - artists, scientists and philosophers also. Rainbow hut was one of the installations where in a viewer can isolate himself/herself from the chaos of surrounding space. 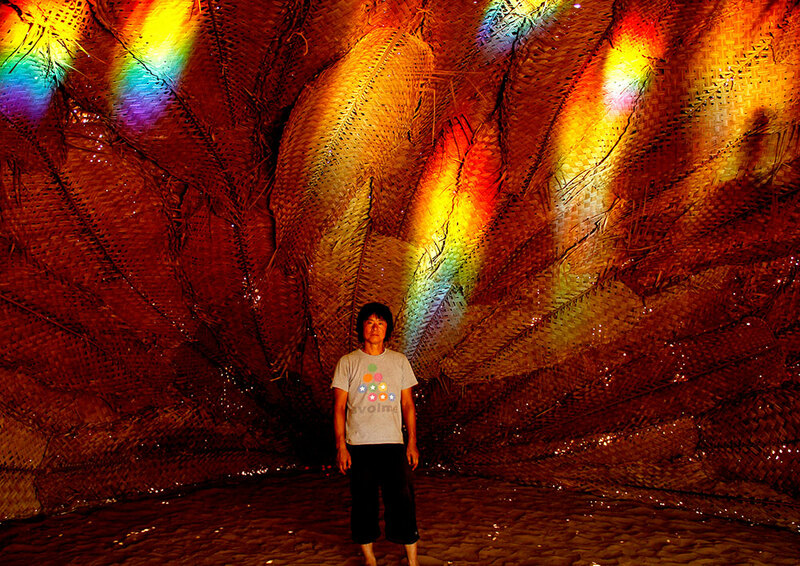 The purpose of the installation was to study the effects of light, colors, music & artistic tools on Human body. 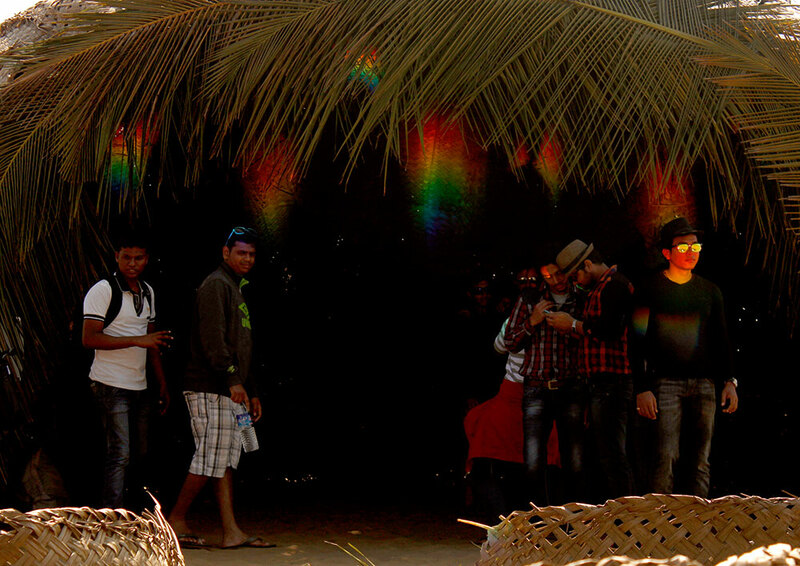 The central part of the installation was a simple hut with number of mirrors arranged in front of the entrance in such a way that they create a reflections on the insides of walls of the hut and these reflections were in multiple colors of rainbow. 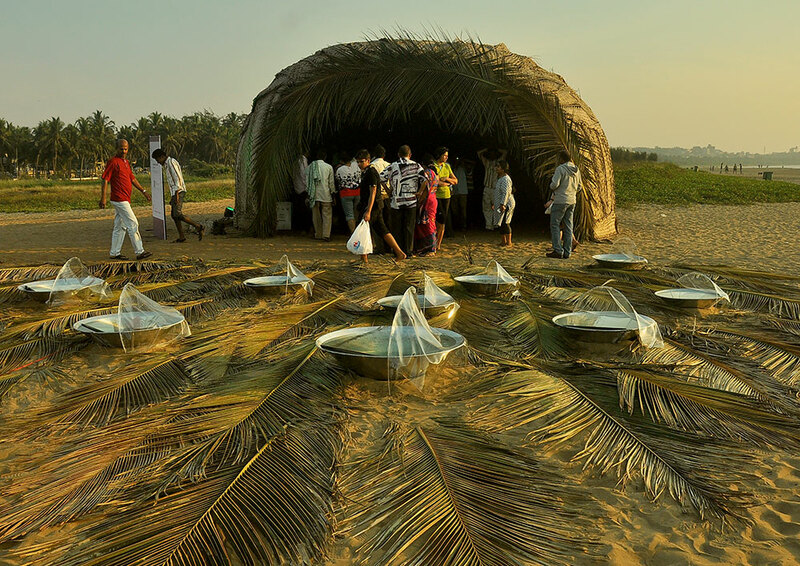 Different events and sessions were arranged in the installations such as meditation, relationship activities with purpose of identifying yourself without the social-economic standards and rules set by the society.